On the 10th Day, there was Blaze and Quinn! Quinn & Blaze came to AAE when their family was preparing to downsize. Another frequent reason horses end up at rescue is their family is moving and they can't take their horse(s). More often than not, people don't realize how difficult it can be placing horses, especially older horses. When the time comes to go, they have no place to go. Fortunately, Quinn and Blaze's family was planning ahead, and when space became available, AAE was able to help, which is often not the case. Quinn and Blaze are looking for a new family to call their own. Quinn is a very fancy 23 year old half Arab (registered) and half Saddlebred mare. Quinn tends to be higher energy and a bit impatient. Quinn was trained English and Western in the distant past, and she has been used in the arena and on trail. However, she has not been ridden for about 5 years. She was forward on trail, loved to go! Quinn is a bit more complicated and needs at least an intermediate handler/rider. She's not always compatible with other horses, and is known to kick out at other horses when under saddle. She has had a mild injury to front right, but was lightly ridable in the past. She was recently evaluated and okay'd for light riding. 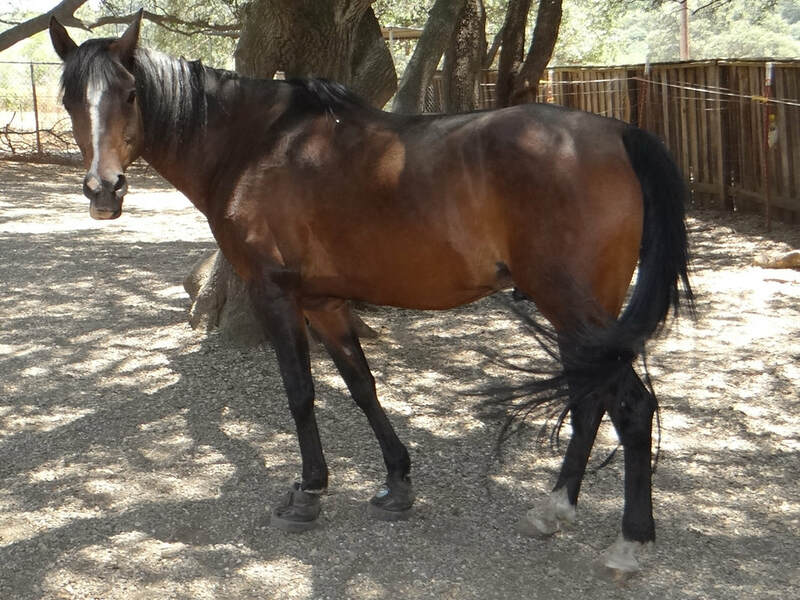 Blaze is a very handsome 21-ish year old (~1996) Arabian gelding. 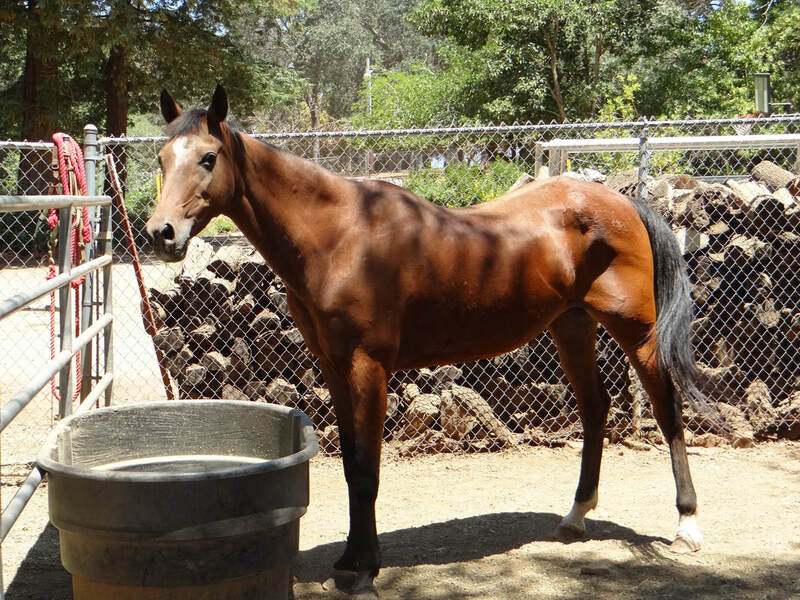 Blaze has no formal training, but was used as an occasional trail horse. He hasn't been ridden for about 5 years. Shortly before coming to AAE, he suffered a mild bout of laminitis. Blaze is much improved and doing very well. He is refreshing his groundwork now, and will be tested under saddle as he progresses on the ground. Quinn and Blaze have been together for several years, and they are bonded seniors. They would do best in a companion home with potential for light riding with some refresher training. These two are not beginner horses, and should go to home with someone that has substantial experience or plans to utilize a trainer to retrain/refresh their riding abilities. They would make a nice pair of companion horses for someone looking to enjoy the companionship of a couple of horses, too.